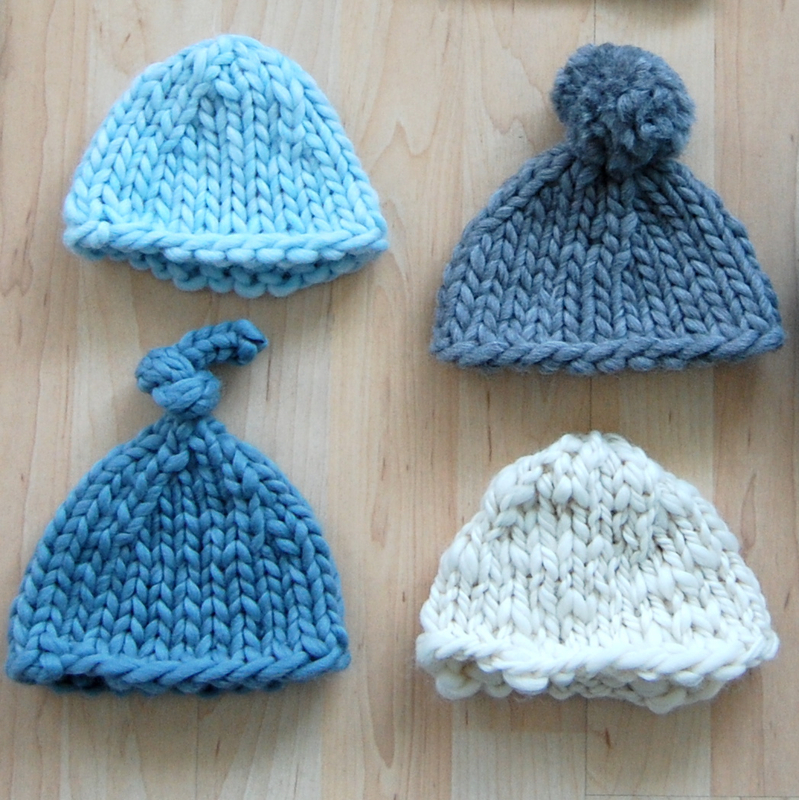 You may remember a set of four tiny little newborn hats I knitted for Bowie last winter, right after he was born. I used super-bulky yarn leftovers and they were so easy and quick to make. Not to mention tiny and cute. It took me a few months, but I finally wrote out the pattern. You can check it out on Ravelry, right here. 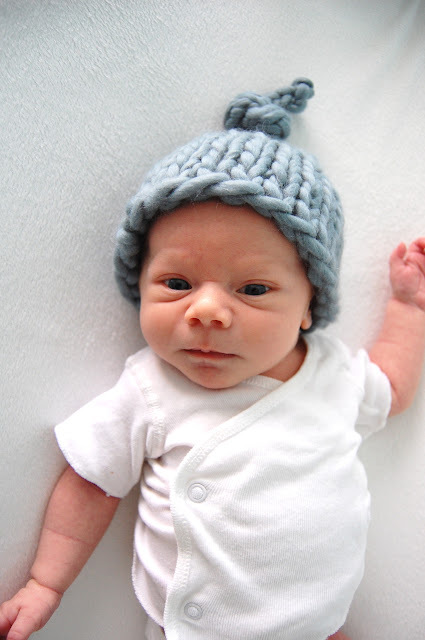 If you're looking for a super basic newborn hat pattern to knit up for someone tiny and new in your life, this is it. I'm pretty sure that each of these took me about 15 minutes to knit. Included are instructions for the top-knot, but you can also leave your hat plain or add a pom-pom. These are perfect baby shower or new baby gifts, and they'd also be great for newborn portrait sessions. Make one ... or make a bunch! Supper cute! What sweet baby gifts! I made 30 of these little chunky caps for donation to the NICU at the hospital my daughter was born in. They were so quick and each one came out uniquely cute. Thanks for sharing! Chrissy - that is AWESOME! What a great idea. Thanks for sharing!